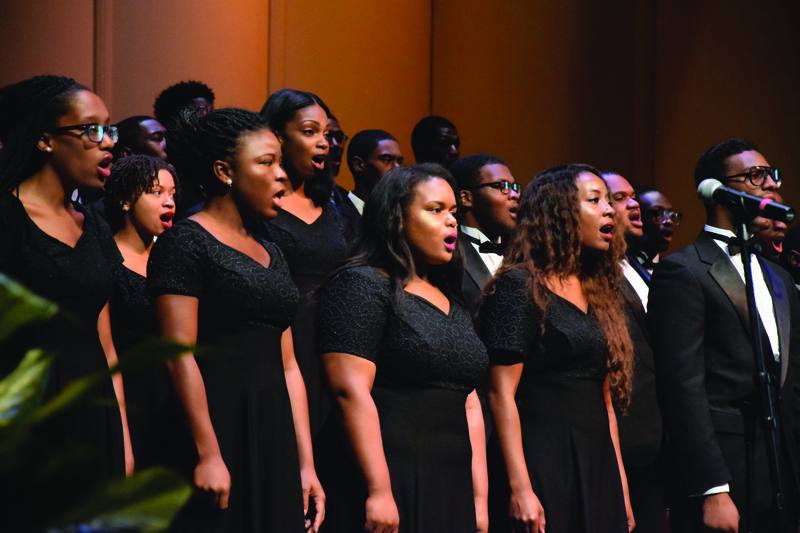 The Norfolk State University Division of Music will present “The Arts in Our Town,” a concert highlighting some of the extraordinary artists who showcase their artistry and talents in the cities of Hampton Roads. The program will be held on Sunday, April 28, at 4 p.m. in the L. Douglas Wilder Performing Arts Center on campus and is aligned with the University’s initiative, NSU: Valuing People, Minds, and Traditions. It will feature the Boys Choir of Hampton Roads, Dance Dimensions, Eboni Young (dance), Gerell Traynum (singer), Hot Gumbo Brass Band, I. Sherman Greene Chorale, Patrick Riddick & D’vyne Worship, Peggy Britt, and RaJazz. While this blockbuster concert will increase interactions with the community and display the many musical attributes of our cultural fabric, the audience will revel in the eclectic and diverse nature of this offering. Jazz, dance, opera, blues, gospel, classical, all under one roof—in one concert. The concert is being held to support music scholarships for NSU students. General Admission is as follows: Adults – $20, students (with I.D. )/children – $10, Group Rate (10 or more) – $15 each. Tickets are available at the NSU Ticket Center (757) 823-9009 or online at nsuspartanstickets.com, Choir Office (757) 823-8529, and Music Office (757) 823-8544. For additional information, contact Dr. Carl Haywood at (757) 823-8670 or Terry Butler (757) 823-9521. Tags: Exhibition, Music, Norfolk State, NSU. Bookmark the permalink.